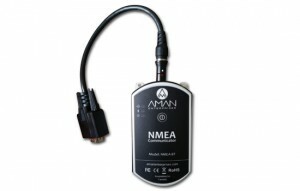 Aman Enterprises - Connect External GPS to iPad iPhone - Aman Enterprises Inc.
Now, connect and communicate with NMEA data emitting GPS/GNSS devices using iPads and iPhones (iOS devices) over Bluetooth. 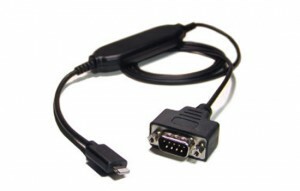 This solution is completely plug and play ready and is licensed and certified under the MFi program by Apple. Connect your existing external GPS to iPad 4 or iPhone 5 devices. 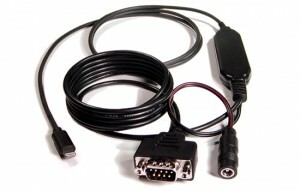 This cable solution connects an iOS device to various industry leading GPS receivers via a standard DB9 – RS-232 serial interface. 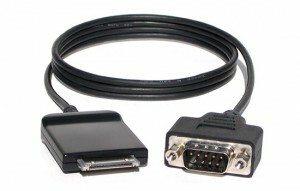 This cable solution connects an iOS devices to various industry leading GPS receivers via a standard DB9 – RS-232 serial interface.